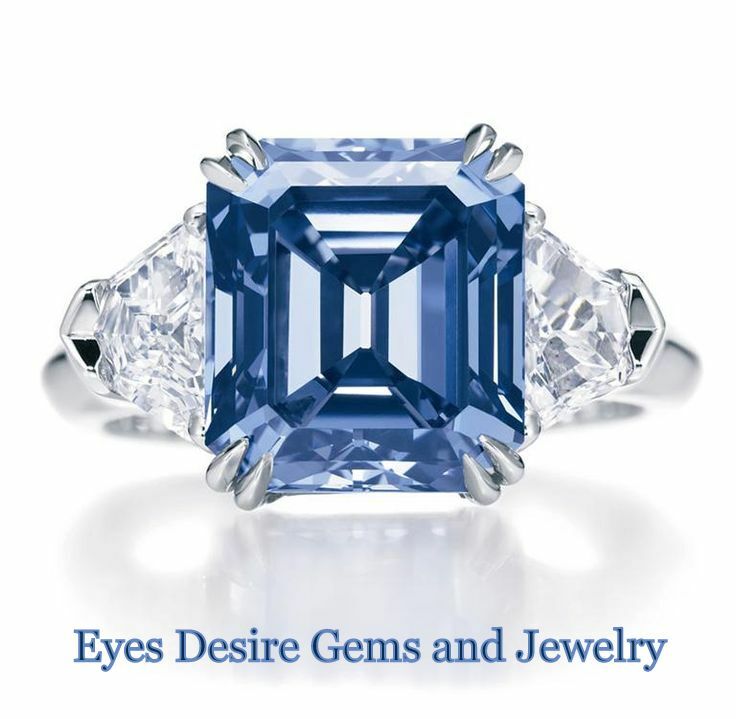 Kat Florence travels the world in search of the rarest, oldest and most sought after natural gemstones in existence. Once they acquire a rare gem the precise art of gem cutting begins. 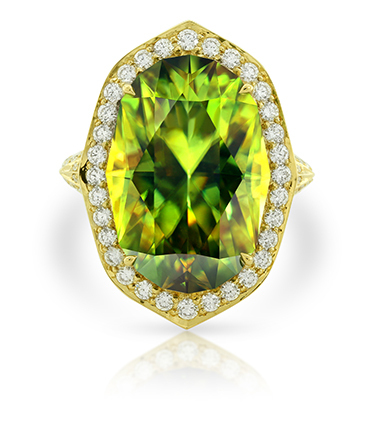 The size, angle and profile of each cut can capture intrinsic light and reveal the full potential of the gemstone. Kat Florence design pairs the fluidity of materials with the radiance of light. 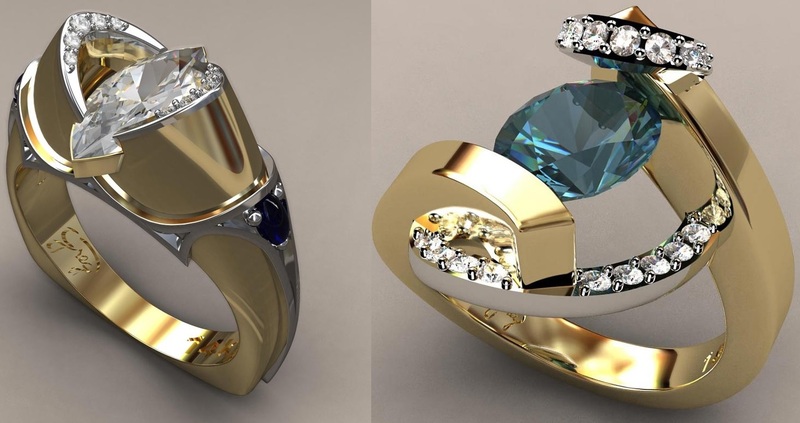 The exceptional skill and remarkable craftsmanship of our jewelers and gem-setters allow Kat Florence designs to fully express emotion, excellence and brilliance while maintaining every minute detail of individual design. 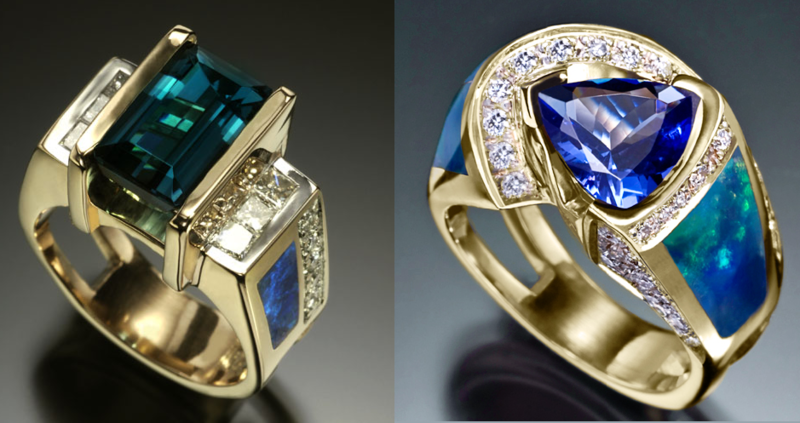 Ultimately, passion is the driving force behind each Kat Florence piece. Kat Florence is fortunate to be in the position to decide how to encase such rare beauty and aim through traditional craftsmanship to create a piece that will live forever. Jewelry designer, Kristy Florence (Kat) has drawn inspiration for her unique pieces through her love of literature, music, art and design. Choosing to reflect her eclectic travels across the U.S, Canada, Australia and Asia, her range of jewelry has a real story and history within. Soaking up a plethora of cultures and environments, each individual piece embodies exactly that. Having studied biology, psychology and gained a masters in education, as well as taking a position at an art based international school in Asia, Kat incorporates science and creativity for a truly distinctive combination; enabling her to express herself through her jewelry. Her style of jewelry is timeless. It exudes a romantic passion for life, which is inherent in Kat. 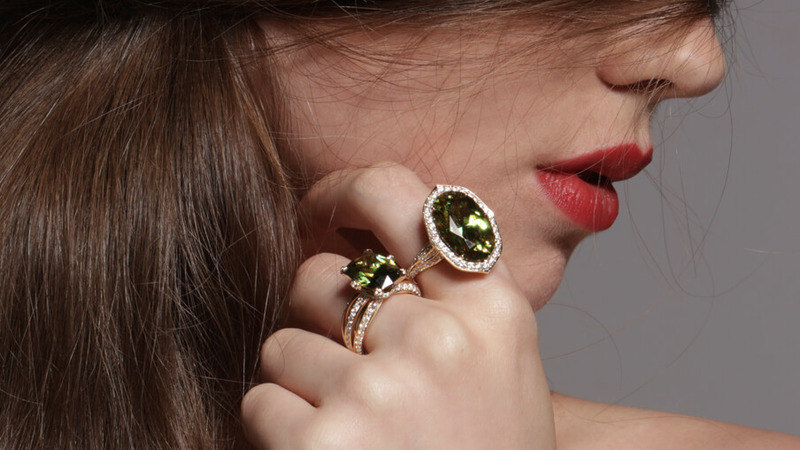 She truly understands the intimacy and innate qualities of the gemstones and precious metals that adorn our world, and it is this that makes her jewellery so utterly compelling. Kat Florence is the jewelry designer and the lady of the GemGuys team! 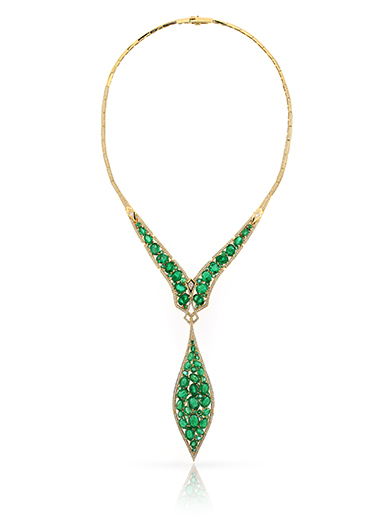 In this clip she talks about her experience of using Zultanite in her jewelry, why she loves it and how she was lucky to get her hands on a 43 carat piece of Zultanite to place in a red carpet pendant! 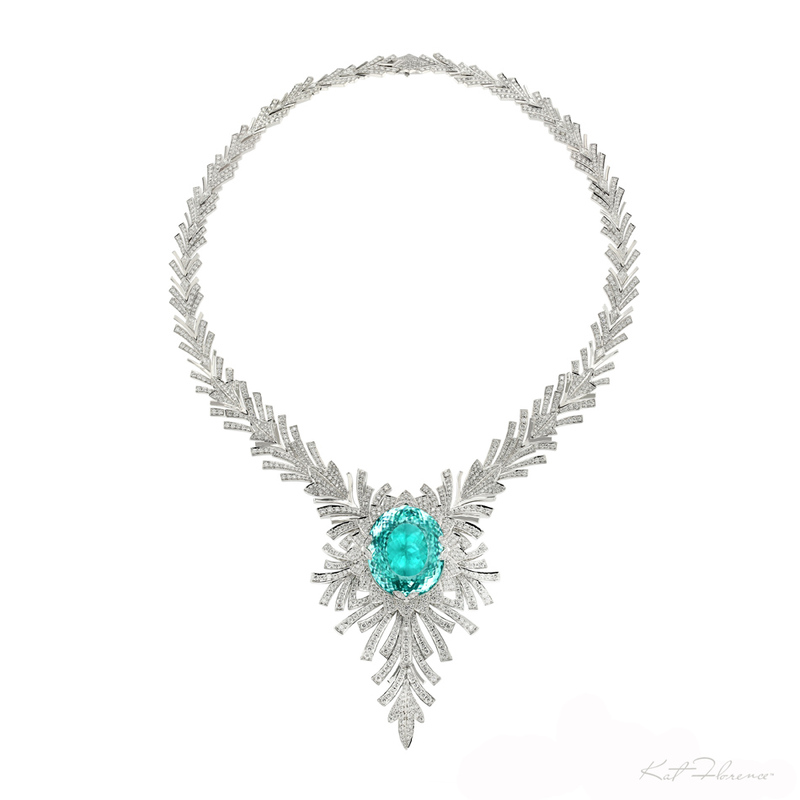 Unique 98.50 carat Paraiba Tourmaline necklace by Kat Florence. 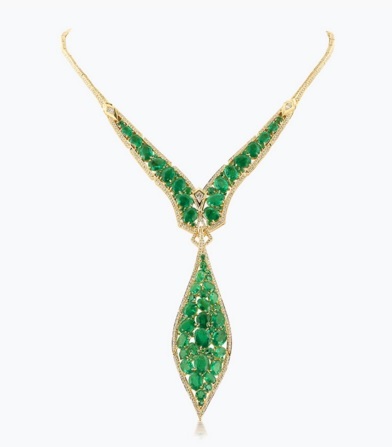 The necklace includes 145 grams of 18k gold, 1842 diamonds including 23.84 carats of VVS1 diamonds and the 98.50carat Paraiba Tourmaline center piece. 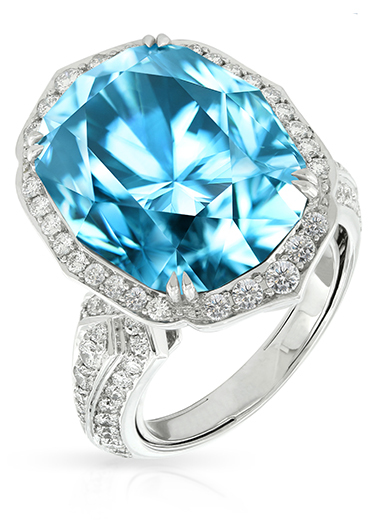 “When I first saw this stone I wanted to set it in a jewellery piece with diamonds bursting around the Paraiba, a splash of diamonds setting the stage for this dramatic gemstone…..I love working with Paraibas, the natural glowing color is so magnetic. As the design developed I really tried to fuse a romance of the past with modern structure, to fantastic feminine effect. 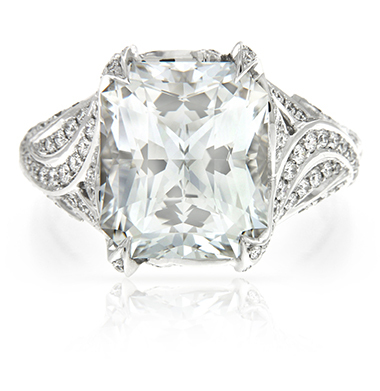 Creating a piece as elegant and modern as it is delicate and dramatic. ” says Kat. Kat Florence’s creations gorgeous and unique creations which are beyond exquisite. 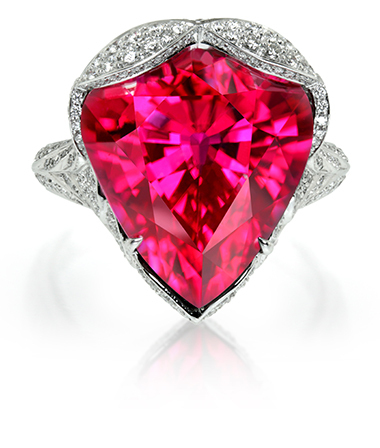 Highly detailed with the rarest gems, this is high joaillerie at its best. 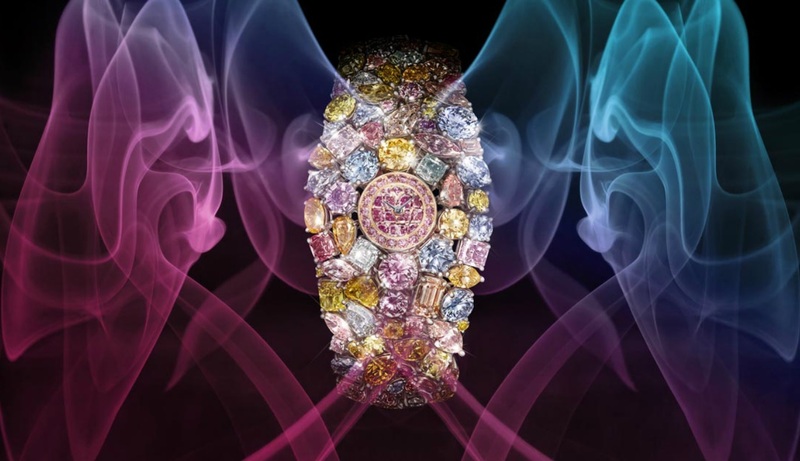 Truly wonderful jewels which takes your breathe away over and over again.